In popular demand The Manhattan View at MiMA Tower Residences is one of the few crown jewels of the building. 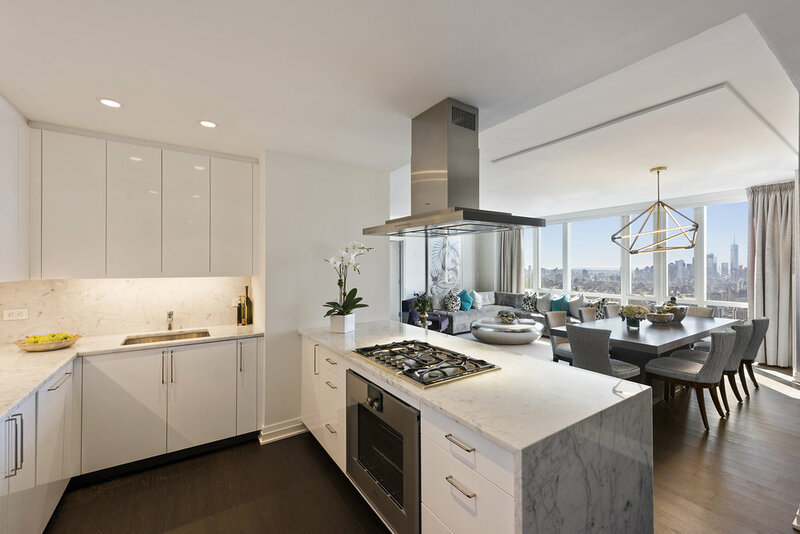 Penthouse 3C is a stunning four bedroom residence of 2,135 square feet with ceilings up to 8’11’’. You will be amazed by the dramatic south and east panoramic river and city views displaying the Hudson River, Hudson Bay, One World Trade Center, Empire State Building, and beyond. Apartments designed by Architectual Digest Top 100 Jamie Drake feature oak floors, floor to ceiling windows, open kitchens equipped with the latest Gaggenau appliances, white lacquer cabinetry, waterfall-edge Calacatta marble counter tops and backsplash, stainless steel under mounted sink with waste disposal, Jamie Drake designed Dornbracht fixtures, as well as your very own Bosch Washer and Dryer. Every residence also comes with smart- home technology which enables you to control the environment at home from anywhere in the world. The Unit comes as a Smart Home with control of the stereo, TV, and lights all from an app on your smartphone. The in-wall IPad connects you with the Doorperson and our very own in-house Luxury Attache who will organize everything from travel arrangements to dinner plans. In addition to a 24-hour doorperson and live-in superintendent, a dedicated concierge is available to assist with every personal need along with white glove à la carte services including valet parking, housekeeping and dry-cleaning. Some of the perks of living in the MiMA Development, consist of a residents-only fitness center by Equinox® with a heated indoor lap pool, training studio, a full-size basketball court; three lushly landscaped outdoor terraces with private dining pods and barbecue facilities encompassing over 14,000 square feet of outdoor space; party rooms and catering kitchens; a golf simulator and karaoke room; outdoor and indoor screening rooms; and a Mac Bar equipped with iMac computers. There is also a club room and residents’ lounge with a cozy island fireplace, a fully- equipped game room with billiards and card tables and electronic gaming, a bicycle room, resident storage, a children’s playroom, and Dog City, an exclusive residents-only, professionally-staffed pet spa with dynamic play areas offers grooming and training facilities, in-home feeding, walking services, scheduled play dates, and much more. 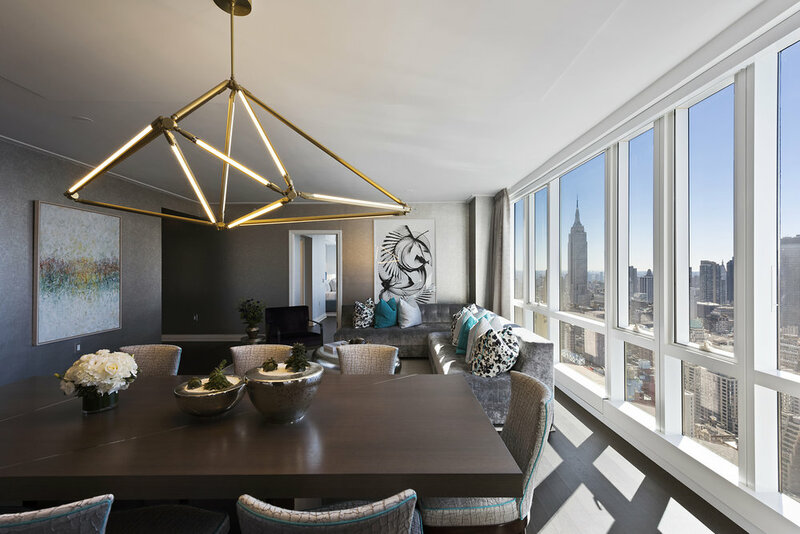 Ryan Serhant and Chester Yow of Nest Seekers International are working with the Manhattan View sales team on these listings, presented By SCG America and Kuafu Properties.